Everything posted by DC Lumber Co. I also think Kirk played a large factor with Doctson as well. After the conclusion of the Kirk saga, it was especially evident last season that Kirk was playing for stats more than anything. Young receiving options didn’t get many chances with balls and he went to guys he was most comfortable with most of the time. With a QB under center on a long term contract, and one who has played in the league longer with several different receiving cores, I think it will help Doctsons development immensely in a critical year for him. I'd be curious if you both prefer chrome accents on vehicles over matte gray and black accents. For instance, my father is a chrome guy and it may be a generational thing. A combo of matte and gloss could also look nice as well. As much as I hate the Seahawks I think they did a great job on their recent uniform refresh with the gloss carbon fiber stripe down the center of the matte helmet. Come to think of it, since NFL teams are limited as to what they can do with the helmets having to be the same color (which makes zero sense, btw), I think a play on the feather stripe down the center of the helmet from back in the day could be a cool alternate look. Much better than the atrocious clash we have to go with on our current throwback unis. Maybe something like the current helmet color with updated center feather stripe logo (with the gray facemask swap we currently do when we wear our throwbacks) with a black and burgundy jersey on white pants similar to the Florida State blackout alternates. I'd love to see that for 2 games a year or something. Regardless of our plan of attack early in the draft for D-Line help, I'd like to see us draft Foley Fatukasi out of UConn in rounds 4-6. Kid has Tomsulas pet project written all over him. He is 6ft 4" 315lbs with his main knock being lapses in technique and simply being raw. He played Nose and 3-tech at UConn and would fit perfectly in our scheme as an End in base with the ability to slide inside to DT in sub. He's a pocket destroyer and just needs to put it all together. Im pretty confident the kid is going to be a great pro just like I was with Deatrich Wise last year who went to the patriots in the 4th. He's the exact type of player you should try and draft every year to keep feeding the DL rotation in hopes of building something epic. Allen, Ioannidis, Lanier, and Fatukasi would make for a great young group. I think something subtle like the vikings did recently would be well received by both younger and old school fans alike. Going from gloss to matte on the helmet and maybe just making the logo bigger on the helmet would go a long way for a refresh while pretty much remaining unchanged at the same time. Throw in a spearhead alternate for a few games and we'd be set. I'm onboard with drafting Vea at 13, and if he's gone... Trade down. Simply because the back end of the first round to third round is full of players at positions of need that should be close to BPA as well. The DL, RB, and OG positions should all have very high level talent available when we pick through the first 3 rounds. Norman, Swearinger and other recent FAs have been quoted as saying they believe in what is being built here when they came to visit. I really do think we have a strong culture now, especially defensively. I think McPhee and others get excited about the potential of the team when envisioning playing alongside these guys. For a guy coming off two achilles, yes he had a slow start to the season. However he finished the year as one of our more productive pass rushers, hence being the number 1 rated PFF free agent pass rusher. And I think the reason you didn't see him bullrushing LTs into the quarterback is due to him being a different style pass rusher. He was a speed rusher not a power guy like RK. But yeah I guess he was a bum? Im sure it's not far off from the league average and Im of the opinion finding high quality starters should be weighted much higher than depth FA signings. Especially when we didn't overpay for them. Norman, Swearinger, Zach Brown, and Vernon Davis were home runs. And to a lesser extent guys like Dunbar, Nsekhe, Mason Foster, Colt McCoy are essential to "hit" on as key reserves/role players/glue guys. And if the FAs we missed on weren't overpaid and didn't leave a bunch of dead money on the books when cut, I'd say we're winning overall in that department. Because you make an exception for the most important position in football. Losing a player like Fuller stings but unfortunately that's the cost of doing business when it comes to acquiring a top tier QB. Luckily we are very good at scouting and developing DB talent and may already have his replacement on the roster in Moreau. And Alex Smith absolutely fits the team building philosophy we've stuck to the past few years. We refused to over-pay for a QB that was trying to hold us hostage and chose to think of the overall team first and foremost, which allowed us to sign complimentary pieces like Paul Richardson, Zach Brown, McPhee and potentially Hankins that would have been impossible otherwise. He's still playing at the highest level and allows us to be competitive and continue to build through the draft with us ideally drafting a developmental QB in the next couple years to groom under him. Jeez man. It's not like he was a habitiual offender. And you have no idea if he's demanding anything crazy or trying to fleece someone. And he clearly has interest from other teams. Little harsh, no? We've actually had a good hit rate on our free agents, not sure what you're getting at...scandrick is essentially insurance if youth development doesn't go as planned (Moreau, Holsey) and McPhee is arguably as good if not better than Junior (who he is replacing). Going with an equally talented player that is more versatile makes complete sense there. As I've said before, statistically free agents typically underperform or completely bust with their new teams more often than not. Swearinger, Norman, Zach Brown and others more than make up for those that I assume you are referring to as "dumpster" FAs (McClain, McGee, Pryor). And what's great is our misses aren't biting us in the rear in the form of dead cap either. That's one way to view it. On the contrary targeting players in the draft with an injury allows you to get tremendous value. IE: Allen, Moreau, Fuller. And with free agents busting more often than not statistically, I don't mind the approach in FA either. They are Low risk/high reward signings that don't put the teams salary cap situation in jeopardy moving forward. I'd much rather be able to use our big contracts on extending in-house talent. The alternative is overpaying for a guy who is historically likely to underperform but pleases the fanbase because it allows to view a roster weakness as "fixed" going into the season. As far as the injuries go, I think it's all a crapshoot. Teams lose drafted players for the season with no prior injury history during training camp all the time. People still act like pot is a big deal? There is 450 grams in a pound dude, id say he's far from a drug trafficker. And it's the off-season, if he wants to smoke some pot who cares... If you think he's the only player who likes pot and enjoys it in many different forms (edibles, hash oil, flower, etc) then you've lost your mind. And he isn't the only millionaire athlete flying internationally with it either before you call him stupid for doing so. Again, it's the off-season man... If the Pats are ignorant enough to cut ties with him over something so silly I'd absolutely bring him in for a visit. And it would be more than "kicking tires" because Harmon is a good player. People are so quick to write people off in today's society it makes me sick. Hyper sensitive, social media court of public opinion bs. I also can't wrap my brain around the boards disdain for Jay. Are people not able to separate their hatred for the FO, so therefore it trickles down to their feelings on the coaching staff as well? The guy is a great offensive mind that is well respected around the league by coaches and players alike. Has he had his growing pains and fumbled some clock management situations here and there? Sure. But overall I think he's been the best coach we've had since Gibbs. Hes shown his willingness to stand up to management when he feels passionately about certain personnel and proved it in his conviction to move on from RG3. The biggest reason I love Jay is that he's been able to do something no coach has been able to do in DC, and that's build a strong locker room/team culture. 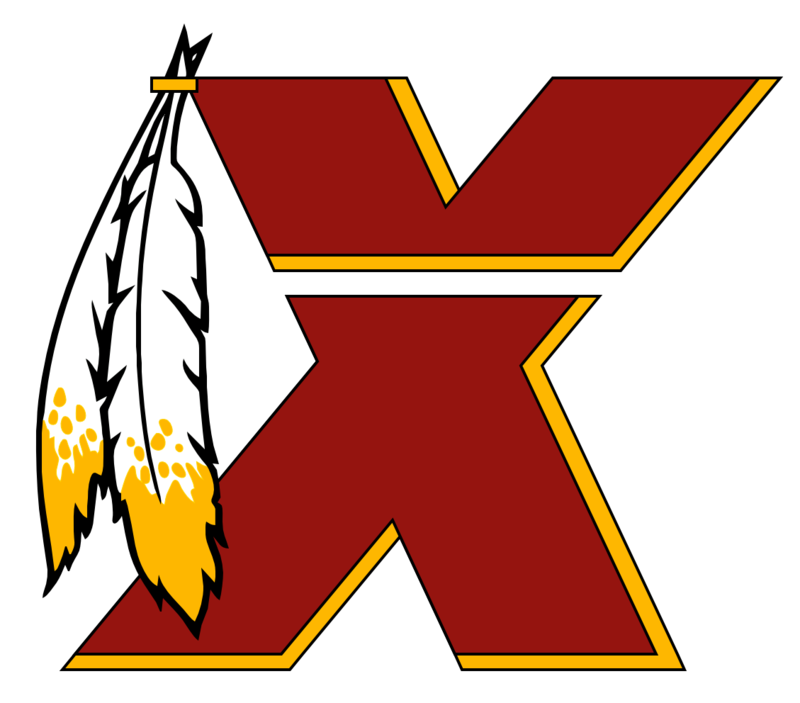 Truth is, we wouldn't have been able to sign guys like Zach Brown or Josh Norman without the improved respect for the team around the league that Jay Gruden built since his arrival. In the past the only way we could get players to choose the Skins over other suitors is if we paid the most. Unlike the fanbase the players actually believe in what is being built here, and have actively helped recruit new players citing the culture that they love being a part of. We don't hear of locker room drama very often, very few leaks to the press, and have players that hold each other accountable. Just look at the Su'a Cravens situation. Grudens no-bs attitude is infectious and what he's done for this team is grossly underappreciated around here. I was as big of a Cousins supporter as anyone, but I gotta agree with you here. In hindsight, I think it's clear that Cousins was always playing to not hurt his value first and foremost. I also wonder if it was a big reason Cousins wasn't very invested in the development of young/new receivers. Could Pryor have had a better year with a different QB who didn't have one foot out the door? And would Doctson have progressed at a little faster rate? Cousins wasnt going to waste his balls to receivers like that, he went to his trusted targets first and foremost and had little patience for drops. Finally to a halfway respectable locker room and the ****-it blow it up pitchforks are raised as high as ever. Yea let's lose the best coach we've had in years, that has players who love playing for him. Because then maybe Snyder's boss will finally fire him. Oh wait... People can't separate old wounds from the possibility of things being a little different. Alex smith? = McNabb 2.0. "We're idiots for letting Chris Baker walk, a player we watched grow up before our eyes... He wasn't freelancing it was our terrible d coordinator, all the rumors to the contrary are idiots blinded by the Snyder hype machine!" 'Anthony Lanier is such a waste of a roster spot, does anyone expect Chris Baker 2.0 to really ever produce? I mean Doug Williams co-signed him for God's sake." "Oh God, that DT from the Jets is in town at Morton's eating with Dan and Bruce? Did we not learn from Haynesworth?" "How are we ever gonna replace Kendall Fuller? Does anyone remember the champ bailey trade? jeez!....And who are we supposed to replace him with? Fabian who? Oh so you're telling me I should trust the same people who scouted and developed Fuller? But pro football focus told me Fuller was the man! Trade Moreau for a 5th before it's too late... but draft my mancrush from my alma-mater." Yeah, let's go back to the days of media leaks by players and Snyder playing fantasy football. Because that's the reality of the 2 win season that so many of you think you want. Yeah let's make it an even bigger circus and see what fantasy-world, madden franchise mode-esque general manager and coach you'll attract after that. Not to mention dealing with the fall out of players who will be wanting to jump ship asap. Firstly, you aren't the authority on anything. Secondly, as I said in my post: the passionate pessimism can not be swayed around here so I'm not going to argue why I feel the situations aren't as drastically different as you're making them seem. Thanks for chastising me though. God forbid someone defends the organization and doesn't follow the herd in bashing everything they do. Is this the year that the stars align and gives us a true Nose Tackle, one that is scheme versatile and can stay on the field when we're in nickel like we are the majority of the time? Vita Vea and Payne could both play NT, play next to Allen in nickel at DT, and still be athletic enough to play end in heavy 4 DL sets at LE. Something like LE - Vea/Payne DT- Allen, DT-Ioannidis, RE-Kerrigan. Or flip Ioannidis/Allen to LE instead of Payne/Vea... Either way... We'd quickly become a very versatile front on the line allowing for all kinds of interesting stunts and confusing looks. All the while still giving us the Nose we've lacked but have been reluctant to spend high picks on due to the small percentage of snaps we are in a true 3-4. The athleticism of Vea in-particular kills two birds with one stone and justifies the high pick. I'm just not sure I'm sold on the WR talent at #13, and can't bring myself to advocate for a RB in the 1st round. Especially when this draft seems to be pretty deep at both positions. I like DJ Chark at WR and apparently we met with the RB from SDSU at the senior bowl as well. Penny and Chark could also give us a couple new faces to try out at KR/PR as well. Ok, a lot of the misinformation touted as fact by those bashing this trade is getting on my nerves after listening to callers on sports talk radio today. First off, Smith signed an extension not a new contract so he will be making the 17 million he was scheduled to make from his previous deal. Not only will we have waaayyy more cap room than some seem to think, it will pale in comparison to the cap number of Kirk's eventual deal. Also, the other guys some are saying they would have rather had under center instead of Smith (save for Colt, obviously) would have commanded around the same salary since they would have signed new deals in the current QB market. I'm sorry but you can't tell me Alex Smith at 17 mil isn't a better value than Bridgewater, Keenum, or Bradford at 15-18 mil. Not only that, but as has been repeated but continuously ignored is the fact that the contract details are yet to be known for the extension. I suspect it will be team friendly, with the majority of the total guarantees only in the event of injury or if he is on the roster by x-date in the 3rd or 4th year of the deal. Effectively making it a 2 year deal perfect for grooming a young QB under. And you'd be hard pressed to tell me there is/was a better option out there to tutor a young QB than Smith, and one that fits Grudens system better than Smith as well. But keep getting hung up on Fuller being part of the deal. There were SIX teams interested in Smith with the original asking price being a 2nd rounder. We got him for a third and unfortunately had to give up a young player in order to beat the other teams bidding, but we did mitigate the loss somewhat by making it a player from one of our deepest position groups.